Jane Lenoir, Berkeley, CA, graduated from the Interlochen Arts Academy and Oberlin College Conservatory. Her teachers were Robert Willoughby, Tom Nyfenger, and Julius Baker, among others. She has been a Suzuki Teacher for 10 years, and an active performer in the fields of chamber music, symphonic music, new music, jazz, Afro Cuban and Brazilian Music for many years. She is a founding member of Berkeley Choro Ensemble (www.berkeleychoroensemble.com), Sexteto Matiz, and Primavera Latin Jazz. She has studied and performed with Jovino Santos Neto, Marcos Silva, Carlos Oliveira, Paulo Sergio Santos and many other Brazilian Artists in the fields of Brazilian Jazz and Traditional Music. 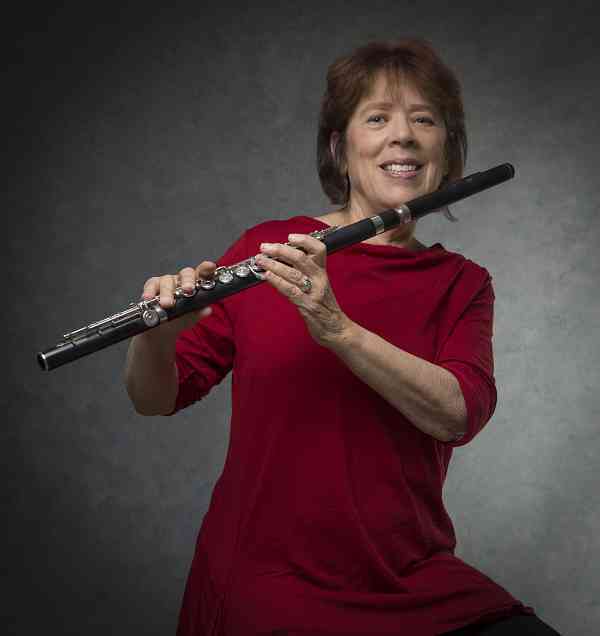 She is principal flute and frequent soloist with Music in the Mountains Festival Orchestra, Grass Valley, CA, and freelances with many bay area orchestras and ensembles. As a teacher, she is interested in how the Suzuki method applies to world music, the similarities of learning by ear, sharing in a group, and building community through these shared styles. In addition to jazz and Brazilian music, Jane plays Irish, Scottish, Cape Breton styles on a modern flute as well as an trad flute. She has spent 5 summers at Boxwood Festival in Canada, and actively supports her students in learning these styles. She also plays Baroque flute (Traverso), has studied with Rachel Brown, Sandra Miller, and Janet See, and trained in Historically Informed Pracitce (HIP).